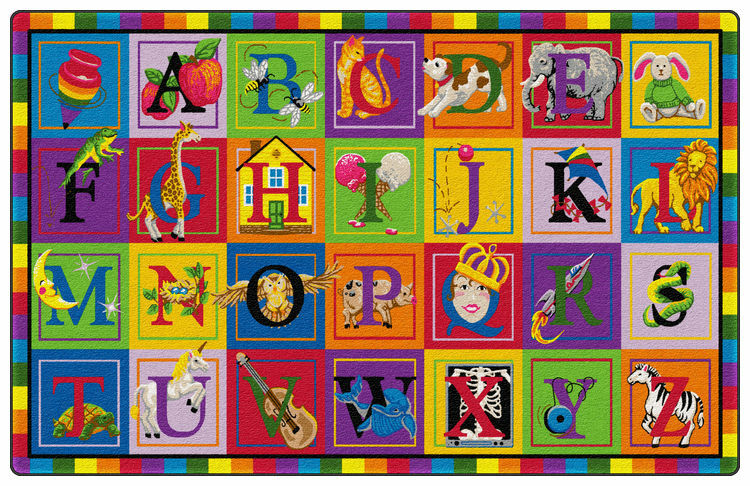 ABC Blocks Kids Educational Rug by Flagship Carpets not only creates a great environment for children to learn but also has great learning tools. 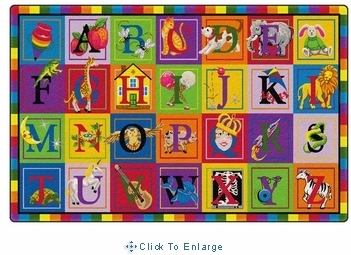 ABC Blocks showcases every letter of the alphabet with clever and colorful examples of each letter's usage. 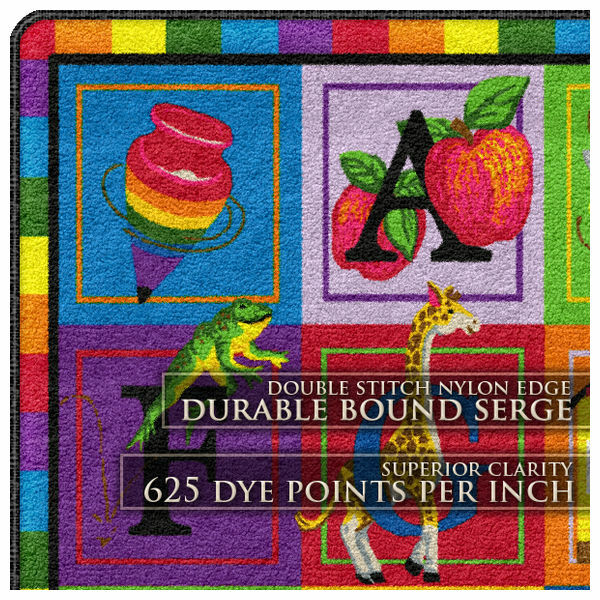 Flagship Carpets rugs come with a limited life-wear warranty and a three -month warranty on serging, some of the best guarantees in the industry.